Chiquita Brands International has implemented a new, dedicated and integrated container service with the aim to set an even higher standard to safeguard the quality of Chiquita bananas across the world. 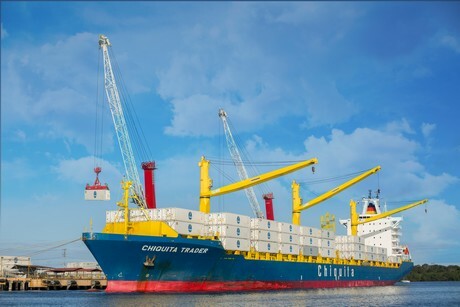 The new logistic service will now operate five full-container vessels to transport bananas from Central America to Europe’s Vlissingen port in The Netherlands – a hub that Chiquita says will allow it to serve all Northern European destinations with the best transit time in the industry. According to the company, the investment in this new service will result in fresher bananas and a longer shelf life, thanks to new efficient containers that use software to automatically regulate the containers’ compressor, thereby controlling the atmosphere. 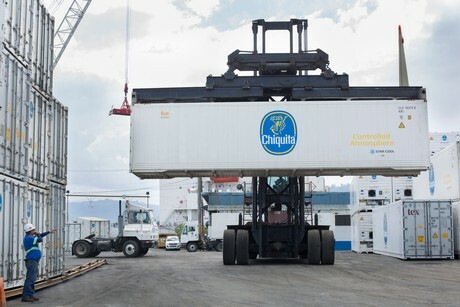 Chiquita added that this will also result in a positive environmental impact, as consumption of CO2 has been reduced by 17,000 tons annually, as each new container is 50 percent more energy efficient than older models. The new vessels have also helped to reduce the handling of fruit at ports and increased stowage capacity by 12.5 percent, thanks to a more efficient storage from origin to destination. Chiquita shared that these improvements will mean more bananas can be moved per trip, using less energy whilst still ensuring the fruit quality is prioritized.